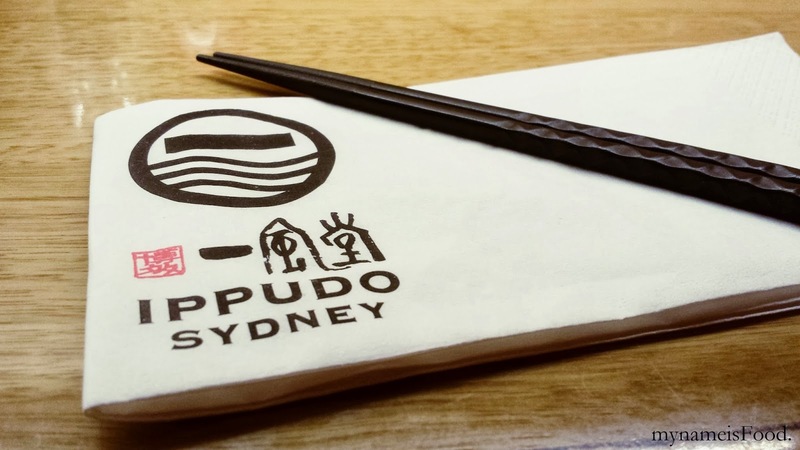 Ippudo Sydney, Westfield Sydney, Sydney CBD - my name is Food. 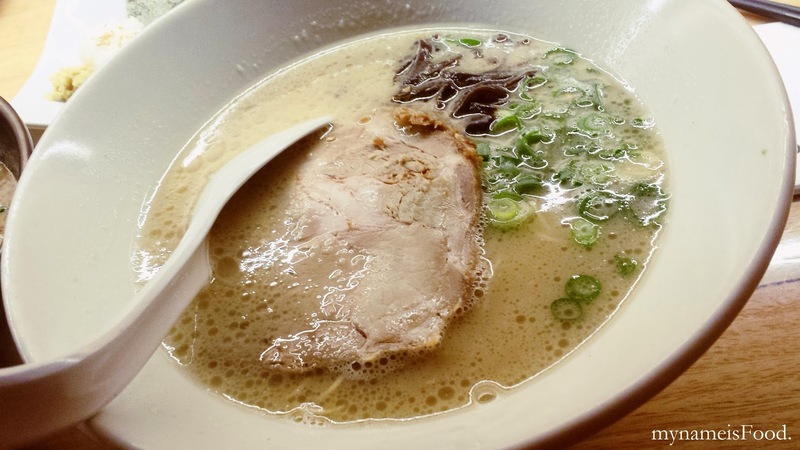 I could and was going to start off by storytelling the history of IPPUDO, but maybe I should just sum it up into a few.... well, maybe more than a few.. 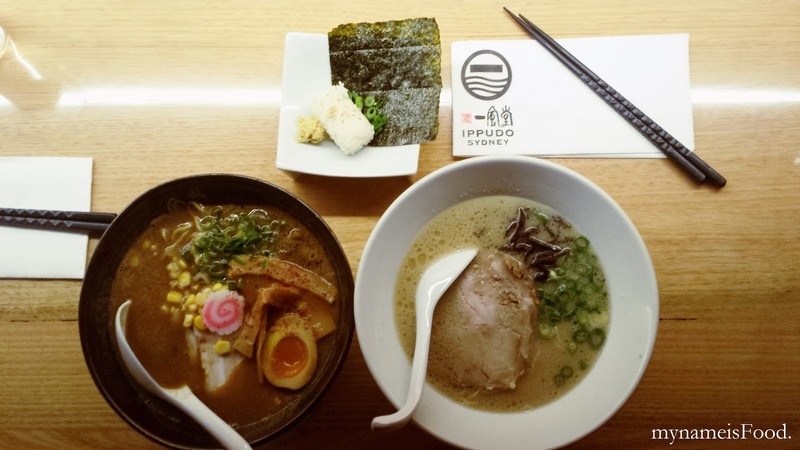 Since in Brisbane, there's no IPPUDO, I thought it would be nice to give an insight.. Originated in 1985 in Fukuoka in Japan which lead to their breakthrough in opening an international outlet in New York in 2008 and since then, they have started to branch out to various countries including Singapore, Taiwan, Shanghai, Hong Kong, Seoul and in 2012, they opened in Sydney.. Their mission has always been to spread "smile" and "arigatou" (thank you in japanese..) through the ramen bowls..
Ippudo offers various ramen with flavours ranging from different parts of Japan.. 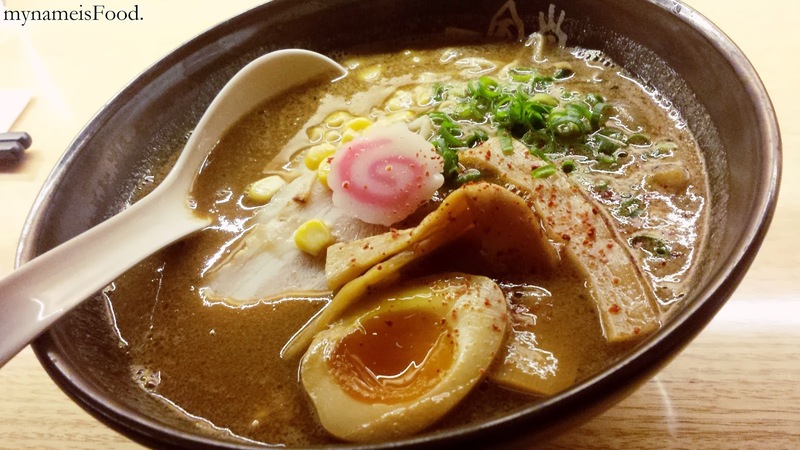 The most famous ramen based soup may be the tonkotsu based ramen, which originated from Hakata (another name for Fukuoka).. Ramen is now know worldwide especially many may know it as instant noodles too.. Ultra thin noodles which makes it easier to cook faster, allowing it to be served quickly for those demanding quick service.. In Sydney, Australian products are used, fusing them with Japanese elements however, it does not compromise to maintain its food quality..
'Shiromaru Motoaji' ($15) is the classic Hakata-style ramen.. IPPUDO original tonkotsu broth served with thin ramen noodles, pork loin, bean sprouts, black mushroom and shallots.. Presentation wise is simple, similar to most of the ramen, and since this was a Hakata-style ramen, its outlook reminded me of the ramen in Hakataya Ramen in Brisbane, minus the black mushrooms.. 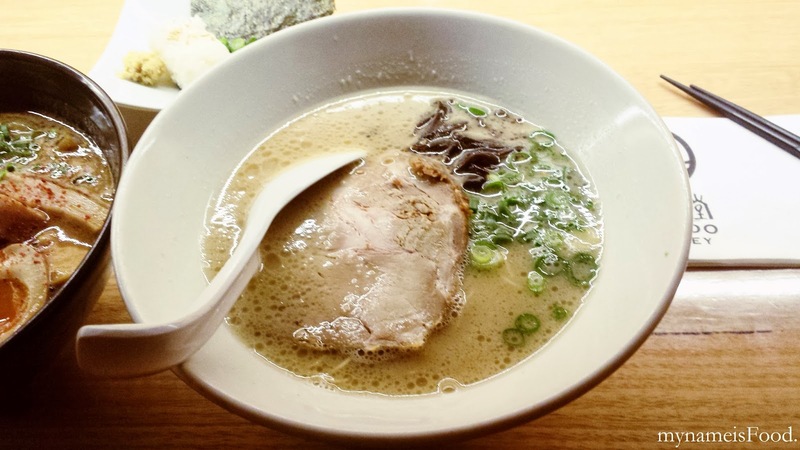 The tonkotsu broth is made from pork bones, simmered for many hours.. The thickness and saltiness of the soup gives it that extra special texture and taste.. The toppings are minimal so that the flavour of the broth and the noodles are able to be tasted and melt in your mouth along with the pork loin.. the pork simply just melts in your mouth once you take a bite.. might be fattening, but you won't even think for a second after you've bitten it.. I really enjoyed the black mushrooms on the side, but what I forgot to order as an extra was an egg.. You know those eggs how they're half boiled.. well, that. 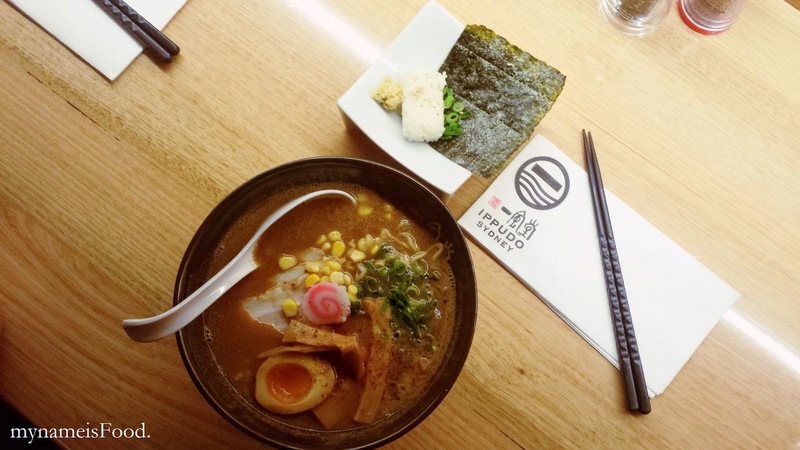 Not sure of what to order next, we decided to order their seasonal special ramen which was called 'Miso Tonkotsu' ($18) which included a miso tonkotsu based broth with pork belly charsiu, bamboo shoots, bean sprouts, corn kernels, shallots, fish cake and half boiled soy egg.. It sounded so much different than the classic, with all these toppings and the miso flavour added into the tonkotsu broth.. The mixture of the salty miso and the creamy tonkotsu is something unique but I think I still preferred the classic tonkotsu.. I'm not old or traditional, just my tongue tells me that it prefers it more..
What came with this ramen was a small plate which had a piece of seaweed, a rice ball, shallots and ginger.. I think the idea of this was that when you've finished all your toppings and the ramen, you would have some broth left.. 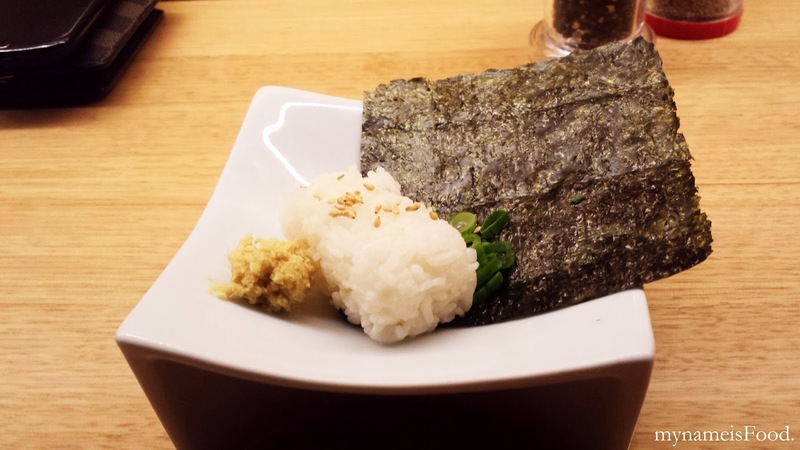 So, you could wrap the rice ball and ginger in the seaweed and dip it into the soup.. I find this idea very intriguing and fun.. Such a cute plate, rice ball and the way you eat is definitely best eaten by hand, or if you don't want to get your hands dirty, then yes.. use the soup spoon..
Definitely will come back here next time I'm in Syd and will try the other delicious ramen they have on offer.. Now.. 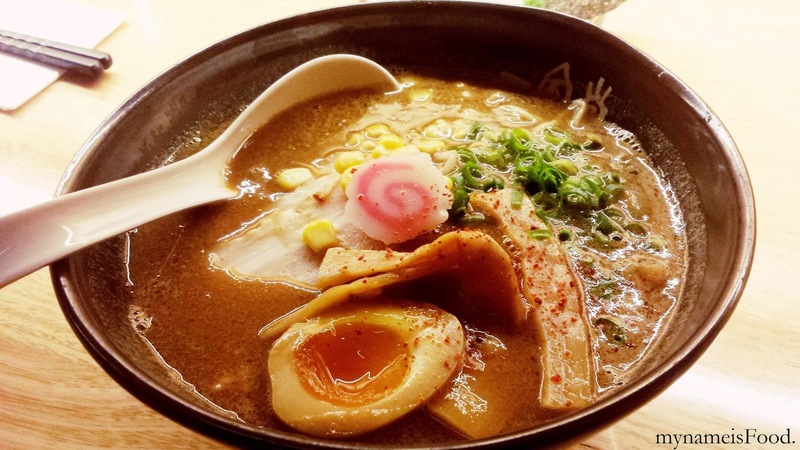 I'm thinking which ramen is better, the forever winning Taro's tonkotsu ramen or Ippudo's ramen.. I still can't decide.. Maybe I have to eat them side by side hahah.. Oh, I also have to remember to try their Ippudo bun next time too..